So you’re planning to start a cleaning company. Good plan! Running a cleaning company can be very profitable. In the beginning stages of planning, choose your business name and perform a name check to make sure you are not using the name of an existing cleaning company. Check on licensing in your region and find out how to obtain a business license. 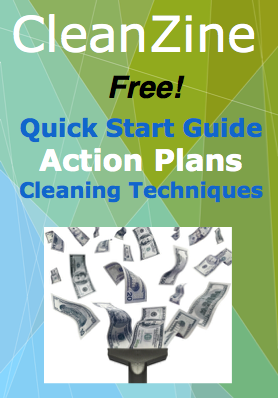 Write a business plan, and see how easy cleaning for profit can be. Operating a cleaning service is not difficult, but outsmarting your competition and profiting from your business will be more likely if you begin with a plan. Choosing a name can be tricky unless you keep a few basic principles in mind. Keep your cleaning company name simple. It should give an indication of what the business is all about. And it should be memorable. Do you specialize in one type of cleaning? You can clean up the profits if you have a niche that is in demand in your area. Live near a coast, or close to a marina? You can run a very profitable boat cleaning service. If you live in or near a business district, capitalize on the profits by offering cleaning services that appeal to both homes and offices. Your name should reflect your specialty if you have one. People will remember your cleaning company name if you make it rhyme, or put a twist on a cliche. ‘Green Cleaning’ not only rhymes and has a good cadence, it also rings a bell with a certain type of customer who wants eco-friendly cleaners. ‘Grime Scene’ and the ‘Grease Police’ are both taken already (I just looked). They work by bringing an element of humor and a play on words. Planning your cleaning service business involved more than just choosing a name of course. Getting a license is one of your next concerns. But picking a name and checking on its availability is all a fun, creative part of the planning stage.